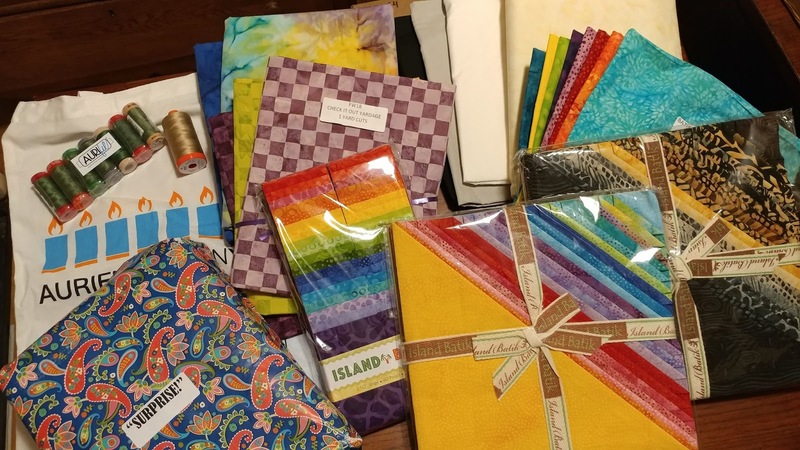 This month's Island Batik ambassador challenge was to create a quilt with a secondary design. A secondary design is one in which some surprising design appears when you put the blocks together - making you do a double take! 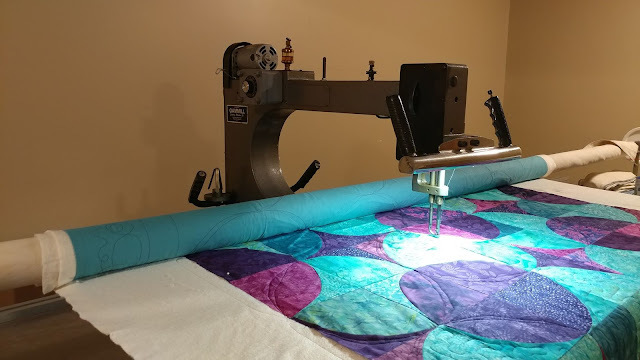 It's been a dream of mine to have a longarm for a couple years now. I first put it on my goal list for 2017, then again on my goals for 2018. Honestly, it was much more dream than goal though. 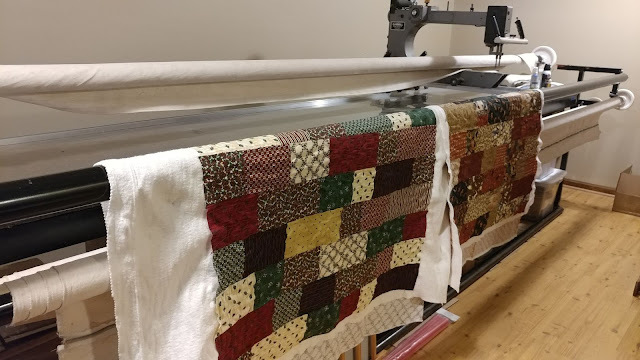 However, once this year started, it became clear that a longarm needed to become a priority. 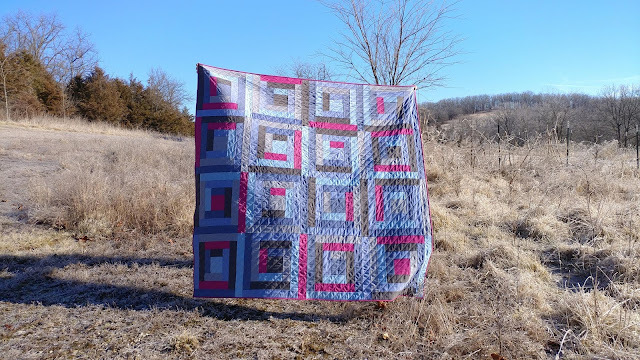 I made 52 quilts last year, and am on track to far surpass that this year. 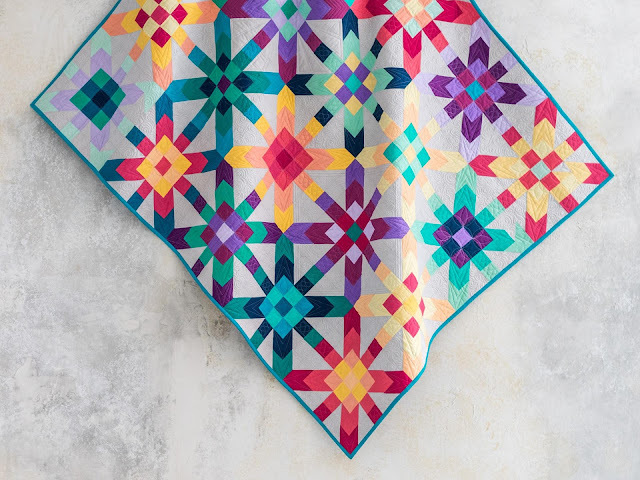 I am often making quilts for magazines, fabric companies, and other clients on very tight deadlines that don't allow time to send the quilt to a longarmer. A few months back, I learned I would have just that type of situation in June/July. I was going to need to make a queen sized quilt start to finish within about a two-week turnaround time. This would be the largest quilt I've made on such a short deadline. 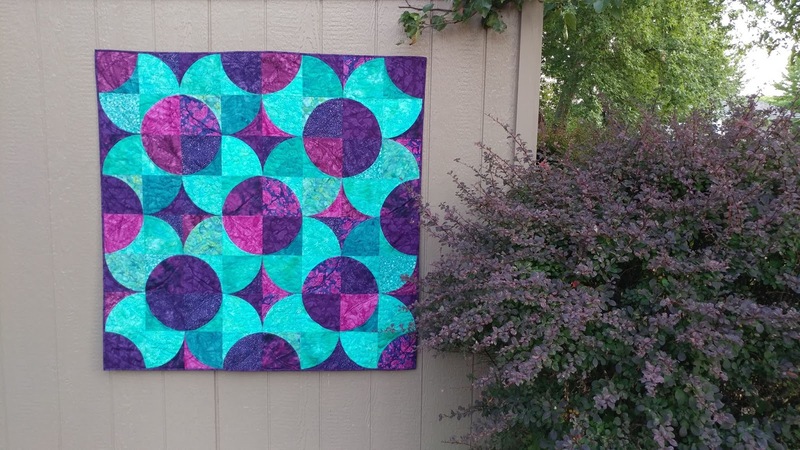 I knew my Juki *could* quilt it, but the time it would take and the frustration it would cause just didn't make sense. I began a serious search for a longarm solution. As an Island Batik Ambassador, I get two shipments of fabric from them during the year. Then I get to make awesome things to meet monthly challenges that all the ambassadors participate in! I have no idea what will be in the boxes ahead of time. It's just like Christmas! I just got my second shipment, so I thought I'd share with you what was in the box! How are your New Year's Resolutions going? If you're like me, you just rolled your eyes! 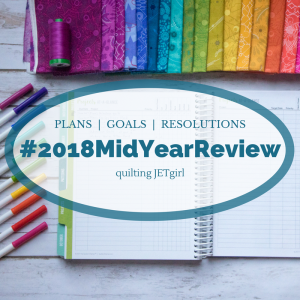 However, I do set some specific business goals each year, and Yvonne at Quilting Jetgirl is prompting us to do a mid-year evaluation. So how am I doing? I'm so excited to finally be able to share with you one of my secret sewing quilts from early this year! Meet "Somewhere in Indiana," published in the July/August 2018 issue of Quilty!